Come be our guest at the fabulously unique Bear Creek Motel & Cabins in breathtaking Southwest New Mexico! 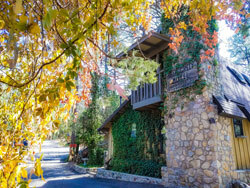 Nestled under the giant ponderosa pines in Historic Pinos Altos, just 7 miles north of Silver City, you will find a welcoming staff and comfortable lodging that will turn your vacation into an extraordinary experience. Free WiFi for guest at Bear Creek Cabins. Our four gentle seasons make us “The vacation spot that is pleasant to visit anytime during the year!" 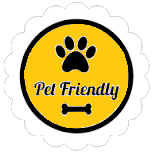 WiFi NoticeBear Creek provides Internet access FREE to our guests as a courtesy. Because our Internet access is subject to service provided to us by the Century Link Telephone Company we CANNOT always Guarantee access. The terrain, large trees, cabin locations and WEATHER also affects WiFi reception to each cabin. We do our very best to provide internet service to you our valued guest, and because it is sometime out of our control, we do not charge for Internet access. 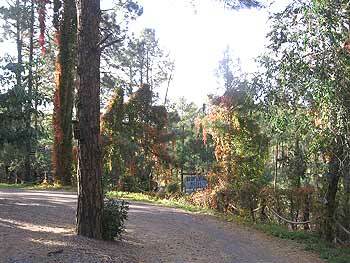 Being conveniently located just minutes from town on the edge of the Gila National Forest Wilderness Area we offer lodging that is unique, you can easily visit the many historic sites of New Mexico. Walk to the Buckhorn Saloon for a great steak or check out the Gila Cliff Dwellings, Glenwood Cat Walk, Silver City art galleries, or Historic Fort Bayard, just to name a few places you won’t want to miss. There are no other hotels, motels, or cabins in the area that can offer you the unique lodging accommodations, and personal attention that Bear Creek Motel and Cabins can. Our new sauna facility and the serenity of the forest that surrounds you, gives our facility that spa like atmosphere you are looking for. With 15 cabins, an overnight stay for business, a weekend getaway, or a planned vacation is waiting to please the fussiest of travelers at the BEAR CREEK MOTEL & CABINS. We are also perfect for Family reunions or as a romantic wedding venue!